Entrepreneurs are tempering their once sky-high expectations to capitalize on Newfoundland’s regulated cannabis sector. Smaller businesses will have a hard time given the strict regulations and high compliance costs, according to Vaughn Hammond, director of the Canadian Federation of Independent Business (CFIB). “What we’ve done in this province is shut out small business owners. The cannabis industry is going to be run by government and big business,” he said. 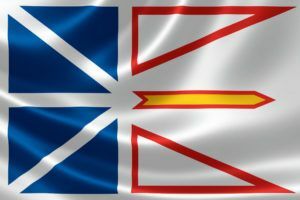 After adult-use legalization is implemented – expected late this summer – one estimate from the Parliamentary Budget Office anticipates annual demand of 12,400 kilograms, when adjusted for Newfoundland’s working-age population. That volume could rise to 13,800 kilograms by 2021. The report suggests there could be roughly 70,000 consumers after legalization, growing to 76,800 by 2021. The Parliamentary Budget Office estimates include the illicit and regulated markets. Estimates from the private sector, however, indicate Newfoundland’s market could be much bigger. The Marijuana Policy Group – a Denver company that provides analysis and policy advice to private and government clients – told Marijuana Business Daily it sees market demand for recreational cannabis of roughly 20,000 kilograms on an annual basis – 40% higher than the government’s forecast. Unlike nearby Nova Scotia and New Brunswick, Newfoundland hasn’t seen a rush of medical cannabis registrants. Newfoundland’s 519 MMJ patient registrations per 100,000 people is among the lowest in the country; Alberta’s 2,543 per 100,000 people is the highest. Just under 2,750 people were registered to use medical marijuana in Newfoundland in early 2018. As of May, Newfoundland was the only province in Canada without at least one licensed MMJ producer. Argentia Gold plans to complete its 80,000 square foot cannabis facility in Placentia, Newfoundland, this fall. Back Home Medical Cannabis aims to have 170,000 square feet of production space in operation in the St. George’s area by the end of 2019. Oceanic Releaf is building a 63,000-square-foot facility in the Burin Peninsula. Canopy Growth has announced plans to complete a 150,000-square-foot production facility by fall 2019. CEPG Consulting and Design (a subsidiary of Snellen Holdings) will apply for a dealer license, which will enable research and development. Geography and a small local market for recreational cannabis are factors that will limit cultivation opportunities in the province. Tier 1 licenses include stand-alone cannabis stores. Tier 2 is for stores with an enclosed area for cannabis sales in larger retail spaces. Tier 3 licenses cover dedicated service desks in larger retail spaces that are separate from the main cash counter. Tier 4 licenses are for sales behind a counter, hidden from view (for example, how convenience stores sell tobacco products). That’s why experts say being vertically integrated could be important to any Tier 1 retailer. Those businesses can trim costs from other parts of the supply chain. While a lack of large-scale producers and the limited markup on sales could be limiting, opportunities are available to enterprising businesspeople. Security for pending retailers, wholesalers and cultivators. Transportation for the supply chain. Cannabis accessories in retail outlets. As with other provinces, Canada’s proposed licensing system will present a number of opportunities for private businesses. Micro-cultivation licenses for the same activities as standard growers, but on a smaller scale. Nursery licenses to produce seeds and seedlings, including clones, for sale to other licensed producers and researchers. Microprocessing licenses to produce cannabis oil for sale to other LPs and researchers. The same license would also allow for packaging and labeling product sales to the public. Ontario-based Canopy Growth was the beneficiary of 40 million Canadian dollars ($31 million) in reduced sales remittances to assist in the construction of its production facility. The government also put up CA$1 million in funding to develop a research and development program in the province.